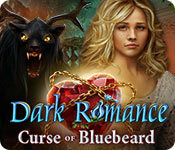 Dark Romance: Curse of Bluebeard is rated 4.4 out of 5 by 14. Rated 5 out of 5 by camper99z from Great game! I loved this game. It was fun to play, the mini games were different and you could choose easy or hard depending on how much challenge you want. Overall, really great game! Rated 5 out of 5 by ninja226 from The best of the Dark Romance series The schtick with the Dark Romance series is you play the game from the perspective of two separated lovers. There's a locket with the two lovers at bottom left, which glows with fire to let you know you need to play from perspective of the lady vs the man. The graphics are exceptionally well done, except for a few scenes in which the lady's head seems askew on top of her body. The voiceovers are true to character except for a few scenes where the voice seems discombobulated to the graphic. Having played the other DR series, I think this is the best of the series. The storyline is easy to follow. HOPs are varied, and even challenging in a few. However, you have the option of Match3 if you detest junk piles. 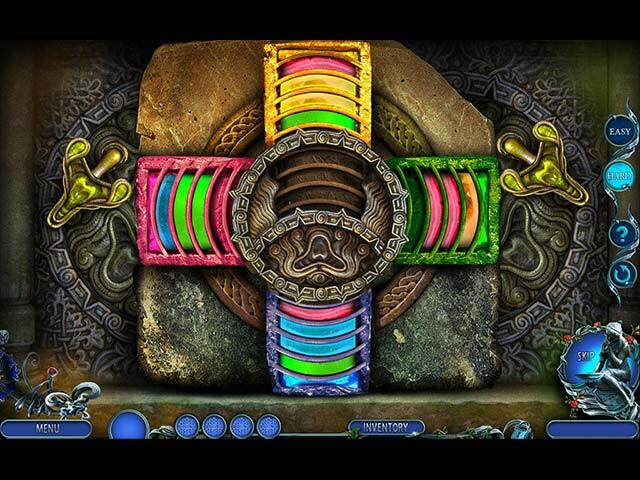 All puzzles have the option of Easy vs Hard mode, which is chosen individually as encountered. The puzzles range from super easy to super pain. I thoroughly enjoyed the game and think it has wide appeal to lovers of HOS mystery fairytale adventure games. Rated 5 out of 5 by Cindel221 from Bluebeard is great fun! Loved this game, very well done for an adventure/HOG game. There were lots of variety for puzzles, not too many HOG's and an interesting storyline. Beautiful graphics. Rated 5 out of 5 by deddu from Dark Romance This is a puzzle driven long adventure with all the elements of an CE in an SE game. It has a map, a journal (that you can go to only when it pops up), a task list, and teleportation. 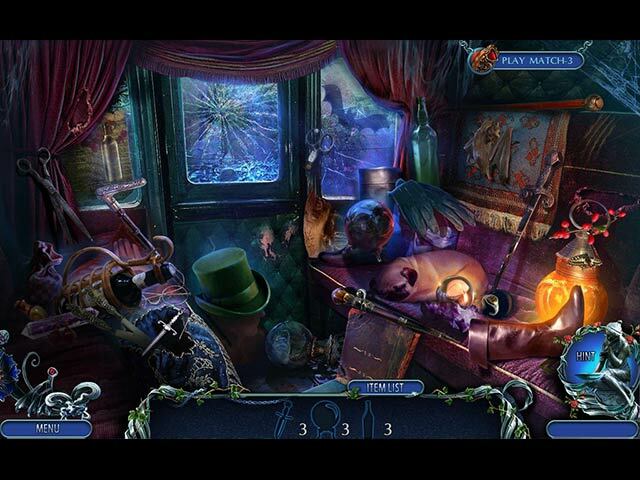 The hidden objects are matching, silhouettes, use an item to find or open another. You are switched between Richard and Rachel as you try to save Rachel. Rated 5 out of 5 by SuperOmmi from Great Game! Wish I'd bought the CE. BASED ON COMPLETED GAME Not a whole lot to add as it's all been said, but this was very entertaining. The storyline was interesting and held together throughout. The gameplay was smooth. The artwork beautiful and fittingly eerie in places, and the VOs well done and well-acted (except for the female lead whose voice was a lil bit annoying.) The puzzles were fun and challenging. I don't necessarily need all the CE bling. When I buy a CE it's because I enjoy the gameplay enough to want it to continue with the bonus chapter. I miss the days of less "who cares" bling and more bonus chapter. Either way, this game made me want to play the bonus chapter. I've found that, unlike some series who really give you excitement in the demo but fall flat during the gameplay, the Dark Romance series tends to underplay in the demo and bring in the A game throughout the remainder. They build on the plot as you go along providing a first-class experience from beginning to end. This isn't the first time I've underestimated this series and chosen the SE only to regret the decision later. This series is going on my CE buy list from now on! Rated 5 out of 5 by BooksandGameFan from My top favorite game of the year! I just loved this game! It's on my list of top favorite games of the year.<P> It has all the features you would expect to find in a 5 Star Hidden Object game such as a custom difficulty setting, an interactive map and a bunch of collectibles and morphing objects if you buy the CE. 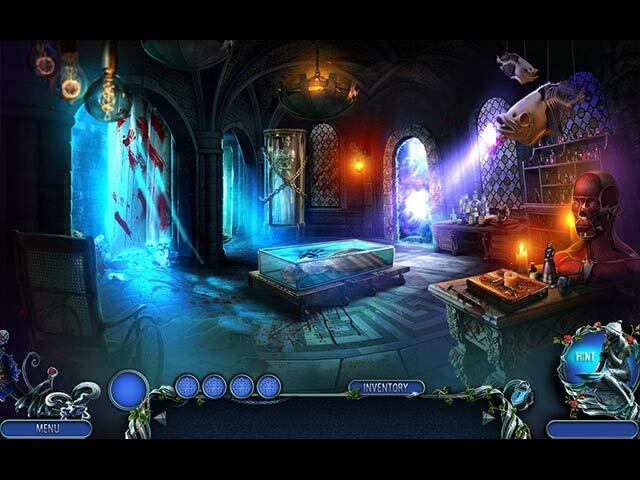 Curse of Bluebeard is a puzzle filled adventure, with a variety of puzzles, ranging from easy to hard, similarly, the hidden object scenes are also highly entertaining. I found the music very nice and relaxing and the graphics and scenery beautiful! My favorite part of this game series is playing both hero and heroine (Rachel and Richard) and you get to witness the story unfold from different perspectives. Domini implemented this flawlessly! I've played all of the games in this series and I've enjoyed them all immensely, this game is by far my favorite! Give it a try I think you'll really enjoy it! Rated 5 out of 5 by biscuitsmama from THIS MIGHT JUST BE THE BEST GAME IN THE DARK ROMANCE SERIES Tales, and yes even games, about the dreaded Bluebeard fill library shelves and today’s game is yet another about the fictional, demented and evil Count who left a string of dead wives in his wake. As games of Bluebeard go, this one is actually well done and quite an excellent game. As the game begins Count Bluebeard has set his sights on his next wife, one he hopes will give him an heir that does not become a monster. He uses dark magic to find the purest soul in the kingdom and chooses the beautiful and kind Rachel. The only problem is Rachel loves Richard, a young man who hopes to become a doctor and one who has no fortune. Bluebeard has been sending Rachel many marriage proposals but she has somehow managed until now to avoid him. Running out of patience, Bluebeard breaks into Rachel’s home and threatens to kill Richard and it is then that Rachel agrees to marry the Count if he will spare Richard’s life. With Richard imprisoned things are looking very desperate for the young lovers. As is the case with all of the Dark Romance games you will play both characters – alternating between them to save the day. The game’s graphics are excellent, clear, and colorful. The game offers a custom mode but there is really very little to do with it aside from setting your hint and skip times. Your tools include an interactive map that is found early in the game. The HOPS are well-designed and items are fairly easy to find. I love the interactive scenes where it is a bit difficult to figure out what items must be used and where. If you don’t want to bother hunting for items or figuring out the interactivity, you can switch to an alternate match 3 game. Now, where I think Curse of Bluebeard becomes excellent is with the puzzles. There are a lot of puzzles in the game with varying levels of difficulty. Something I enjoy is that we have the option with almost all of the puzzles to select between the easy or hard mode when solving them. If you would prefer the CE version of the game it includes collectibles, morphing objects, achievements, bonus chapter, strategy guide, wallpapers, concept art, music, Book of Spells, Boudoir, and replay of 24 puzzles. Since there are several types of collectibles to find along with the morphing objects, for me this is a great CE package. After so many morbid and bloody games during October,(awful storylines) I had been waiting for a game I actually wanted to play and Dark Romance Curse of Bluebeard was perfect. Even though the basic theme is a bit dark I love the way the game is designed and the story is told. It is always fun switch between the two characters as I move through the Dark Romance games which add a new dimension to the gameplay. I had been waiting for the game to be released and it was be an instant buy for me. As always, even though I love the game please try the demo to see if it will be a game that you will enjoy. Rated 4 out of 5 by LovelyDoe from Fun game to keep busy for an afternoon I enjoyed this game, particularly switching between the two characters to continue play. The game was over far too quickly though. Maybe that's routine for these types of games, this one is my first purchase. I have a few similar games that I purchased at the store that are a little longer than this one. Rated 4 out of 5 by Aliana_4711 from Neither bad, nor outstanding. Too short. Nice HO’S and Puzzles. My rating is based on playing the entire SE. It meets most of my requirements. Such as nice puzzle and interesting HO’S. - Story: A fairytale. Bad Bluebeard tried to force sweet Rachel into a marriage. He took her to his castle and imprisoned Richard, her fiancé. Bluebeard is cursed and all of his offspring were going to be monster. Alternately you’re either Rachel or Richard. - Difficulty can be customized only partly. Tutorial, sparkles, hint / skip recharge. You cannot exclude helping texts, but tips were kept within reasonable limits. Nevertheless: I prefer playing w/o them. - Graphics/locations: fitting. A lot of locations - Animation and Voice-overs: quite good, but not outstanding. - Tools: you have an interactive map only. - HO’s: Nearly all kind of interesting types, such as an interactive description mode, combined with complements, interactive silhouettes, uncovering matching pairs, reflection… You can switch to a match 3 mode. - Mini games: You can chose easy and hard. Easy is really pretty easy, but it helped solving puzzles, which I don’t like. And there were a lot of different puzzles. - Adventure part: nicely done, due to the switch between Richard and Rachel it was interesting. Tasks were logical. Not very challenging. - Specials: Some gimmicks, click and enjoy. Not very exciting, but nice. - Length: I needed about 3 1/2 hours for completing. Dislikes: The end was annoying. Bad Bluebeard was defeated (surprise, surprise) but it was somehow silly.